Lasercap LCPRO is a non-invasive laser hair restoration technique that can help regrow hair follicles in areas of thinning hair. This revolutionary technology is FDA approved to promote hair growth for both men and women, especially for patients suffering from androgenetic alopecia, also known as pattern baldness. During treatment, the Lasercap device is worn over your hair and fits discreetly underneath your hat of choice. Unlike traditional hair loss solutions, which can result in linear scarring and require post-procedure downtime, Lasercap LCPRO is a non-surgical treatment that can be completed in the comfort of your own home. Patients can utilize Lasercap to stimulate hair growth while running errands and going about their daily activities. During laser hair restoration, hair follicles are exposed to sequences of lower level laser therapy (LLLT). Laser energy aids in cellular respiration, extending growth cycles and improving each hair follicle’s ability to function naturally. Lasercap LCPRO uses portable technology so patients can experience hair restoration while on-the-go. The hands-free Lasercap system is designed to fit inconspicuously underneath your favorite hat or cap and comes with a rechargeable battery pack. For optimal results, Dr. Levine recommends wearing the LCPRO device for 36 minutes every other day throughout the course of treatment. Lasercap results will ultimately vary from patient to patient. You will begin to notice a thicker, fuller head of hair in 4-6 months. Routine appointments with our New York hair surgeon are recommended to monitor your hair restoration results over the course of your Lasercap treatment. 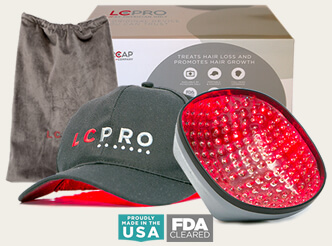 Lasercap LCPRO is a take-home hair restoration device. Patients are free to go about their daily routine while undergoing their Lasercap hair treatment. Completely non-invasive form of hair restoration. Utilizes laser energy to gradually improve the natural function of hair follicles. Lasercap LCPRO requires no downtime or recovery. Can achieve a thicker, fuller, & natural-looking head of hair. Specially-crafted Lasercap device can be neatly hidden beneath headwear. This hands-free laser hair therapy method leaves no linear scarring post-procedure. Lasercap results can typically be seen after 3-6 months of treatment. Can Lasercap Treatment Be Combined With Other Forms Of Hair Restoration? Absolutely. Lasercap LCPRO can be combined with PRP hair restoration, NeoGraft, and hair transplant surgery to achieve natural-looking results. 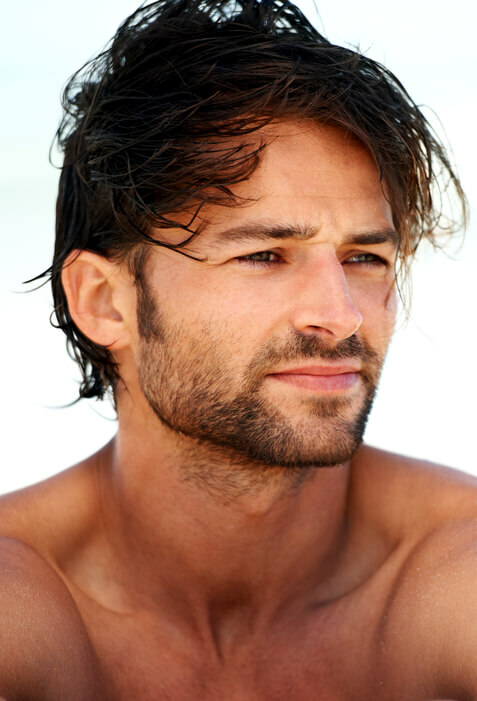 Our NYC hair surgeon will discuss which treatment options are best for you during your consultation. Lasercap Treatment & NeoGraft Lasercap can result in quicker growth following your NeoGraft procedure. Lasercap LCPRO & PRP Hair Therapy Both Lasercap & PRP hair restoration are non-surgical hair loss treatments that can be combined for optimal results. Lasercap Hair Restoration & Linear Strip Method Lasercap treatment can speed up healing following hair transplant surgery using the linear strip method. How can I find out more about Lasercap in NYC? Dr. Elie Levine, Dr. Jody Levine, our technicians, and friendly staff will be happy to meet with you to discuss Lasercap in NYC. Please call our office at 800.755.HAIR (4247), or make an appointment online for a personal consultation in our New York City office.